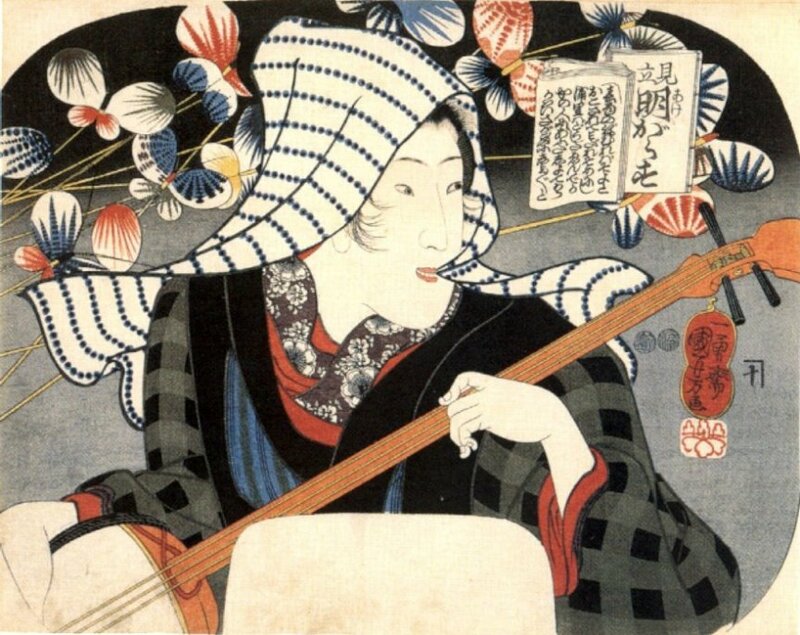 I am grateful to Ward Pieters for locating this image. 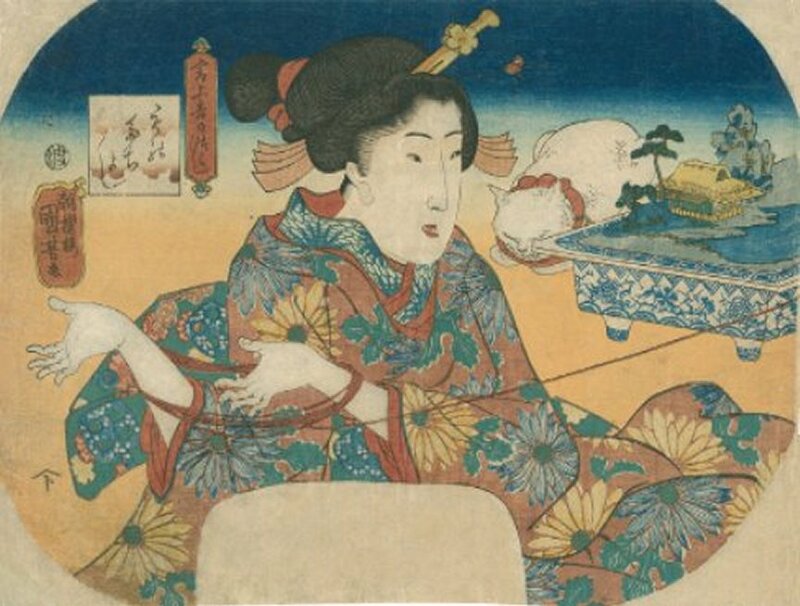 NOTE: “Akegarasu” literally translates as “daybreak sound of a crow”, but it is also the title of a poetry anthology published in 1773. 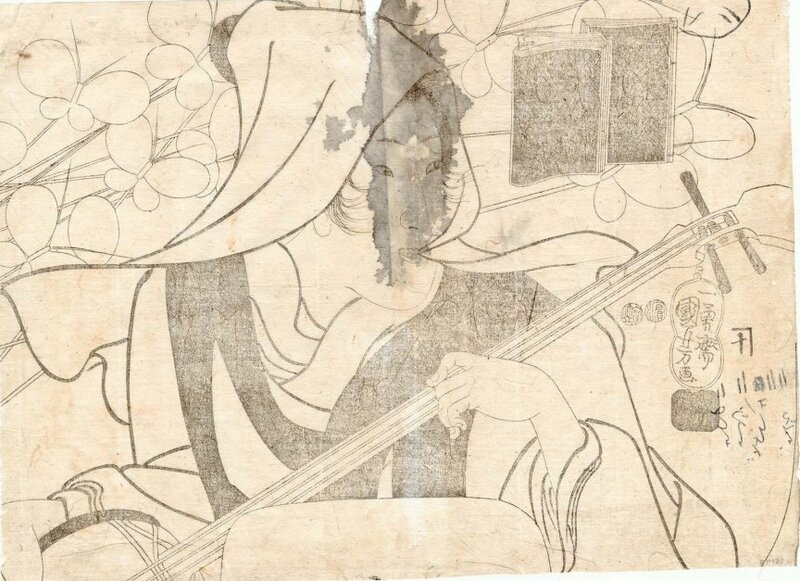 NOTE: The signature reads Chô-ô-rô Kuniyoshi ga (朝櫻楼 国芳 画) and is in an elongated gourd-shaped Toshidama seal cartouche ( ). 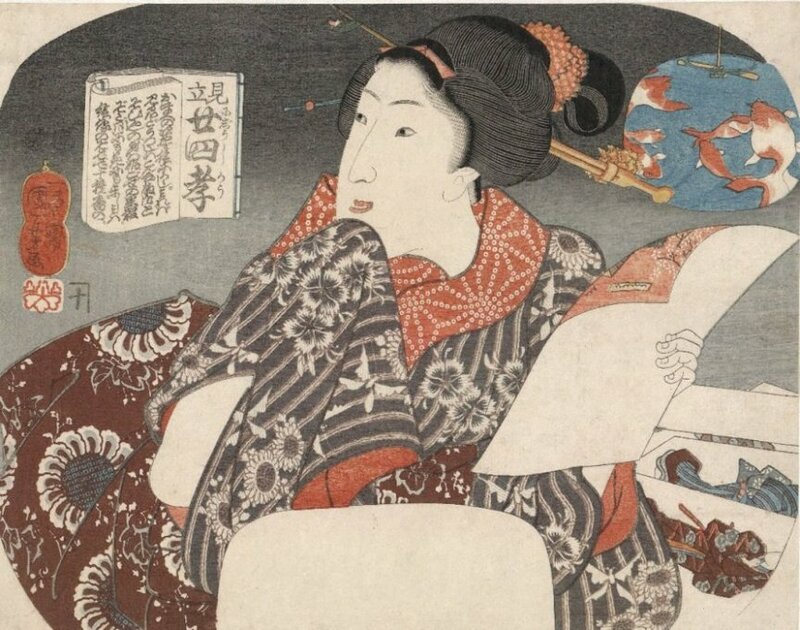 The Toshidama seal was used by members of the Utagawa School of printmakers. 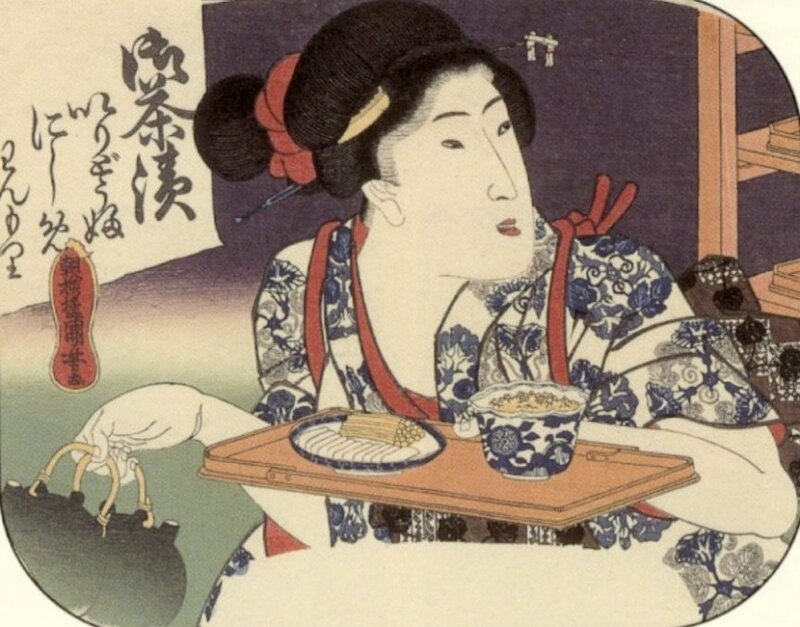 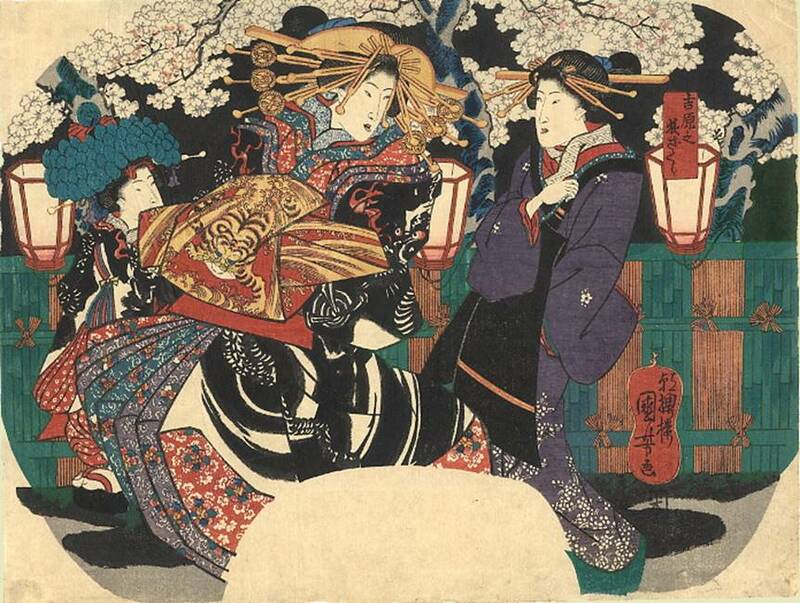 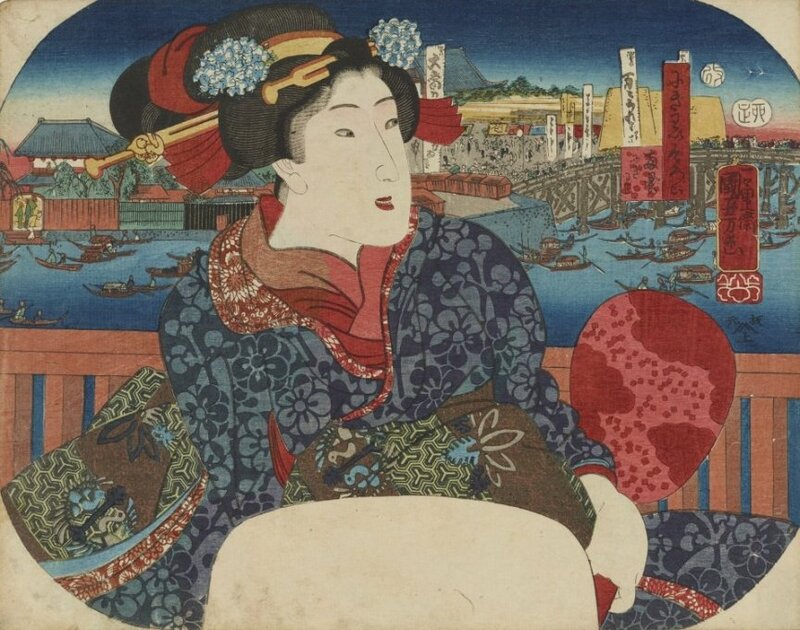 About 1844, Kuniyoshi’s competitor, Kunisada, declared himself head of the Utagawa School. 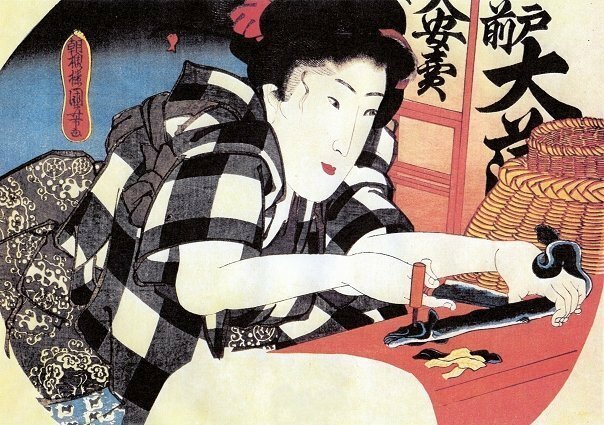 Thereafter, Kuniyoshi severed his connection with the school and ceased using its seal. 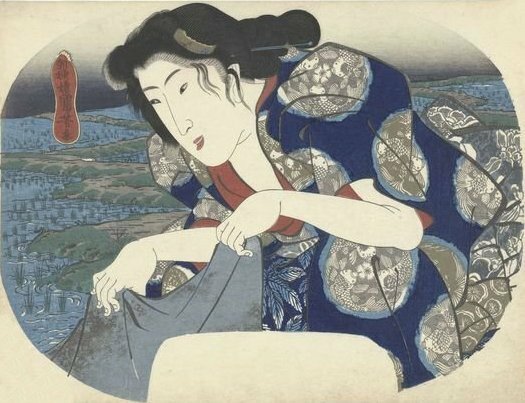 “Robinson” refers to listing of the series in Kuniyoshi by Basil William Robinson (Victoria and Albert Museum, London, 1961).